The Location-Based Story is a very special way of storytelling. It takes the outdoor-enthusiastic users on a journey and inspires them to discover a destination on the spot. A prerequisite for the Location-based Story is a concrete reference to a region and its natural and cultural landscape. 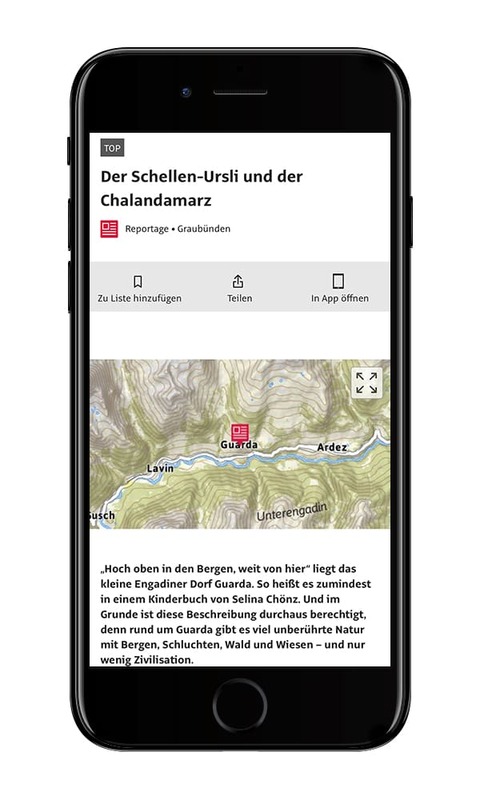 The settings, sights and the respective tours merge to an interactive story with the help of texts, images and the georeferenced localization on the Outdooractive Map. If available and contextually suitable, videos also become part of the story. For creating a Location-based Story the already existing contents in the platform are complemented by information and photo material provided by the customer. We will take on the rest from here and profoundly edit the story and adapt it to the target audience. Location-based Stories are integrated permanently into the Outdooractive Platform within a relevant context. Optionally, different campaigns are bookable to increase the reach. As the Story combines different content elements contextual references emerge. By this, the story is automatically integrated into the pages of the respective tours, places to visit, offers etc. as a teaser. Would you like to learn more about the Outdooractive Location-based Story?